Live music Friday & Saturday from 6:30 p.m. until 9:30 p.m.
Vera Mae’s offers upscale fusion cuisine borrowing from the rich traditions of Europe, Asia and the new world. Our goal is to offer the highest quality and freshest fare available presented with impeccable service with attention to detail. Located in the revitalized historic district of downtown Muncie Indiana. Warm and inviting, the atmosphere reflects the love of the historic features inherent to the space and is filled with art work predominantly from local artisans. Our banquet facility, private dining area and seasonal outside seating allows for a wide range of accommodations. 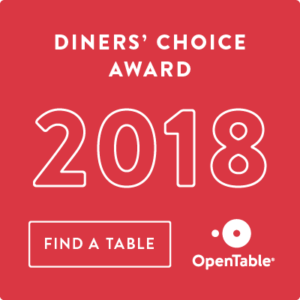 To find a table online, click here.